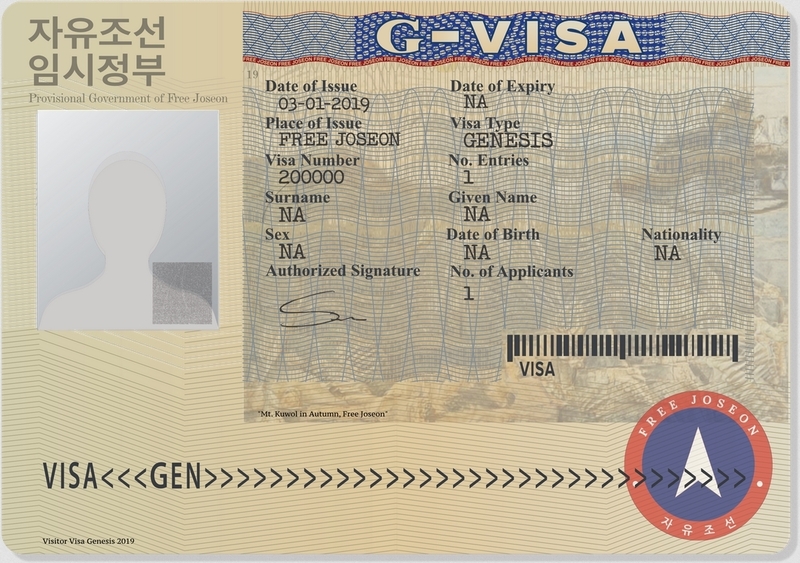 It is being reported by CCN that revolutionaries in North Korea hoping to overthrow Kim Jong-un and the entire government have begun to sell Visas to their desired future nation in exchange for Ethereum. Should they be successful, users who purchase these Visas can then visit the free nation with no other credentials. The website for the dissidents, who call themselves Cheollima Civil Defense and their new nation "Free Joseon," states that only 200,000 of these will be issued and will be stored on the Ethereum blockchain as ERC-721 tokens. The first 1,000 will be sold at a price of 1 ETH each, though it does not state the price for the remaining 199,000. The group claims that anyone who purchases a Visa is free to trade it as they see fit, as they are not linked to an individual's information in any way. Anyone in posession of one of these Visas will be able to visit the country for 45 days at a time, with no other credentials needed. This is, of course assuming these rebels are successful in overthrowing the government. If they fail, these Visas are useless. On the other hand, if successful, these Visas could have incredible value and even be seen as a part of history. Cheollima Civil Defense have a track-record of standing against the North Korean regime, though their actual politics beyond that are unclear. Will these revolutionaries be successful? Only history will tell, but you can stick right here with Chepicap for any and all updates! Would you buy one of these Visas?